Cor Euser Racing has driver seats for the 24H Series. Join core drivers Hal Prewitt (USA) and Cor Euser (NLD) himself in this exciting FIA championship! The Lotus Evora GT4 (SP3 class) and BMW M3 (A5 class) are both very competitive and potential class winners. More Drives Available at www.carpe-diem-racing.com - conditions and details on request. 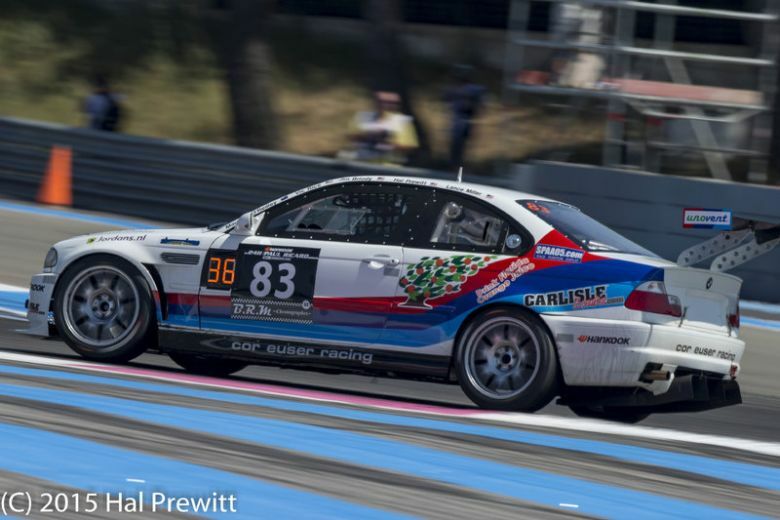 A few words about your co-driver in the 2015 24H Series. Cor Euser, professional race driver since 1984, has a motorsport CV to envy; via Formula Ford 2000, Formula 3000, Indycars, to touring and GT cars with his own Marcos Racing International race team introducing the awesome "La Bomba" Marcos LM600 that he won the GT class of the Dutch Supercar Challenge with in 2002, 2003 and 2009. Now running his team with the Marcos, the Lotus and two BMWs, he is using his engineering and driving skills, his racing strategy talent and his leadership experience, to not only continue putting himself on the podium, but also his co-drivers and apprentices.